The leader of a hard-line Hindu organization has appealed to the federal government and Hindus in general not to provide relief to flood-hit victims in Kerala who eat beef, as the cow is a revered animal in Hinduism. Swami Chakrapani Maharaj, leader of the All India Hindu Assembly, told the media on Aug. 23 that those who slaughter cows and consume its flesh should not be given relief of any sort after heavy rains pelted the southern Indian state this month. Catastrophic floods and landslides from Aug. 14-18 killed an estimated 400 people. Another 1.3 million have been displaced seeking refuge in relief camps where they subsist on donated food and clothes. “Before giving any assistance, one should ask the victim whether they have ever eaten cow meat, and then in accordance with their answer, relief should be decided on,” he added in a statement. Aid can only be dispensed to beef-eating flood victims who consent to sign a legally binding form promising they will refrain from consuming beef for the rest of their lives, he added. Cow slaughter is banned in most Indian states but Kerala is in the minority as beef is legally available there and serves as a regular staple even among Hindus. “It is not just because of some untimely monsoon. The state of Kerala has been stuck with nature’s fury because of the sins of beef eaters,” read the statement by the chief of Hindu Mahasabha. “All this has happened because of them,” he added, attributing nature’s wrath to beef eaters violating a upper caste Hindu practice. 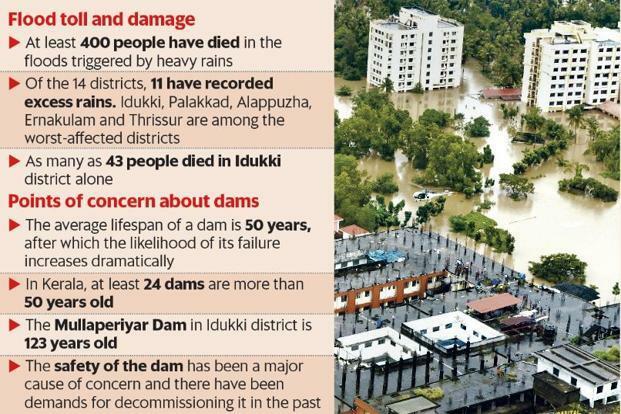 The worst floods in nearly a century pummeled Kerala this August due to the unusually high level of rainfall during the monsoon season, which has affected 11 of its 14 districts. Relief has been pouring in from the federal government as well as from the private relief organizations. The governments of 26 of India’s 29 states have contributed US$31 million to Kerala’s relief department to provide victims with immediate help. Bhavana Sharma, a relief worker, told ucanews.com that some “divisive elements” like Chakrapani have been “making their presence felt everywhere” across India for some time. “Now when all are rising above the barriers of caste, color and religion to help flood-hit Kerala, these groups of fanatics are out to divide people and propagate toxic views,” she said, noting that such views have started to creep into social media posts. “We are all humans but God knows what religion these goons have,” Sharma said. Zainab Khan, a Kerala native, ridiculed the Hindu leader on Twitter, saying the people of Kerala will not entertain such rants. “We do not need your support … don’t waste your energy even on taking the name of Kerala!! There are people with a bigger heart than you and your followers!” Zainab wrote. However, Neeraj Sinha, a political commentator based in Bengaluru, noted the federal government run by the pro-Hindu Bharatiya Janata Party (BJP) has not censured statements such as those made by Chakrapani. “It means those at the helm don’t care when they see situations where people are vitiating communal harmony, even in the midst of a calamity that is unfolding in Kerala right now,” he told ucanews.com. Rouf Khan, a social worker based in Jammu and Kashmir in northern India, has been actively collecting relief materials for those who are suffering in Kerala. He told ucanews.com that Chakrapani’s statement should not be viewed in isolation but as part of a politically motivated move that involves promoting hate speech against non-Hindus. He recalled how Chakrapani’s organization in 2015 called for the ethnic cleansing of Muslims and Christians in India, arguing that their increasing population threatened to undermine the nation’s Hindu character. “Even back then, the government took no action against the group,” Khan said.